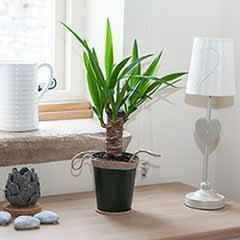 Join the houseplant revolution with this indoor gem. 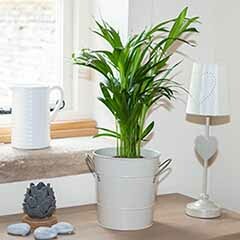 Join the houseplant revolution with this well-loved indoor specimen plant. 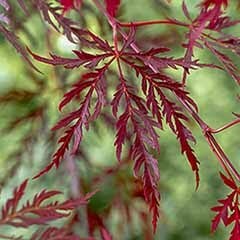 Easy to grow and maintain, an ideal beginner's plant. Cleans the air in your home. 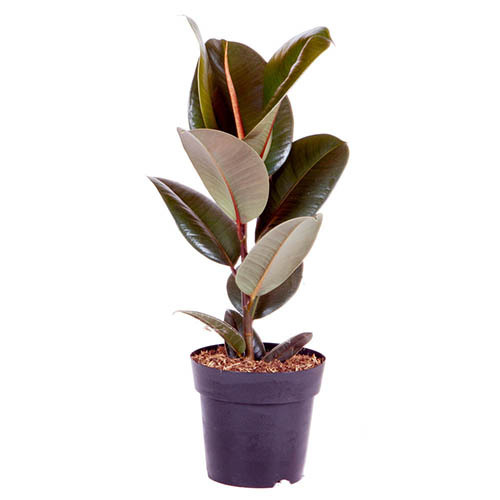 Bigger, glossier leaves than ordinary rubber plants. 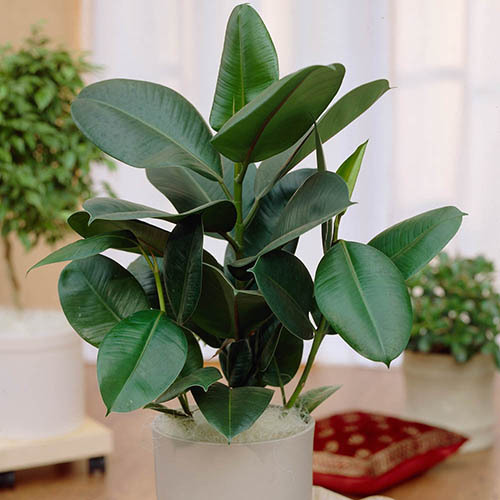 Fiscus elastica, the well-known rubber plant is making a well-deserved comeback into living rooms across the country! 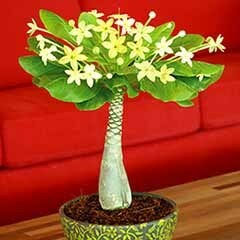 Now you can have a piece of 70's kitsch in your own home and grow this marvellous indoor plant. 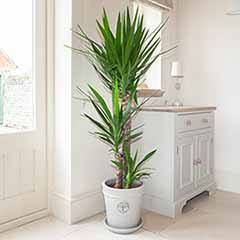 For years, a staple houseplant, no home was complete without its large, glossy leaves and hugely ornamental growing habit. 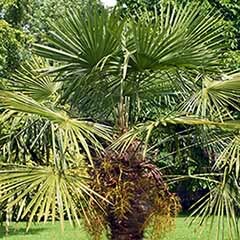 An easy to grow, tropical plant, 'Robusta' gets its name from its sturdy leaves - much bigger than the old-fashioned plants that used to grace conservatories and parlours. 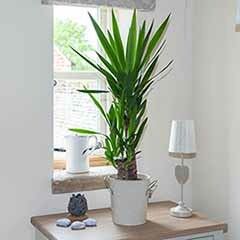 Recognised as a great plant to clean the air in your home, a NASA study revealed that the Rubber Plant will help remove benzene, giving you a cleaner atmosphere in your home. 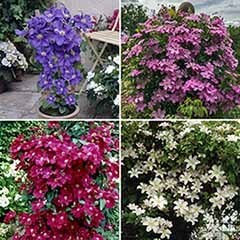 Supplied as a 60cm tall plant in a 17cm pot, height after 10 years approx. 2.5m. Avoid cold temperatures (less than 12C and keep out of draughts. 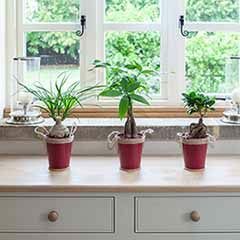 Avoid moving your plant around if it is happy where it is, as they dislike disturbance. 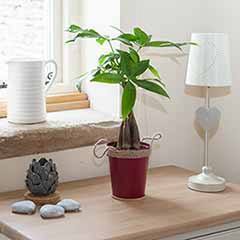 Grow your rubber plant in a sunny position out of direct sunlight - a bright east facing windowsill is ideal. 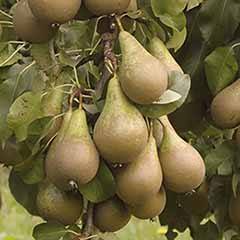 Only water when the top of the compost is dry and allow to dry out between waterings as plants dislike soggy roots. 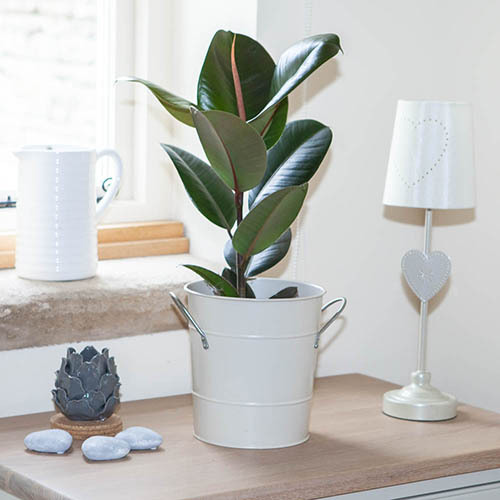 A native of India, the rubber plant likes a bit of humidity, so avoid radiators and you can increase humidity by misting the leaves daily or standing in a gravel tray. 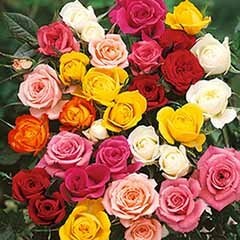 Plants are frost tender so keep indoors at all times and keep temperatures above 12C and avoid draughts. Leaves can be cleaned with a wet sponge if necessary, although plants do benefit from a dousing in the rain during the summer. 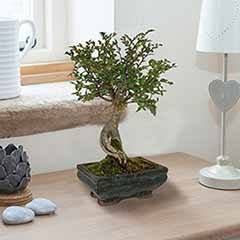 Repot in May or June of the roots are pot-bound. 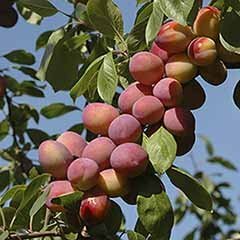 If your plant gets too tall, you can prune out the growing tip and the tree will develop side branches.